ATC Outdoor Furniture Factory is famous for providing high quality and trendy outdoor products. Homeowners are in love with the designs, the structure as well as the quality of our outdoor furniture. Especially, the wicker furniture factory creates strong frame and legs that ensure the stability of tables and chairs. However, it’s totally normal for them, particularly dining chairs, to be a bit uneven over time. This problem is, in fact, not too hard to fix and you can also do it at home. 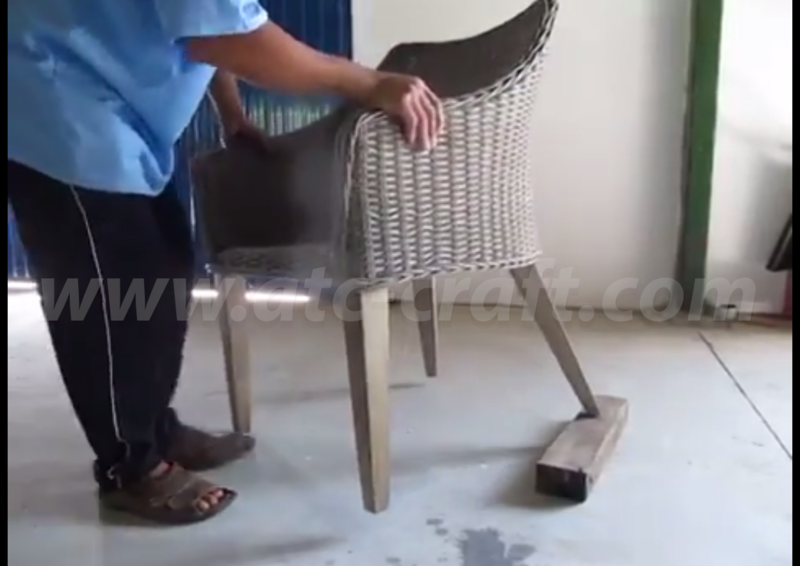 Let’s look into the details of how to fix wobbly chairs, guided by ATC Outdoor Furniture Factory Vietnam. Before doing any fixing, first, you have to take a close look at the situation. 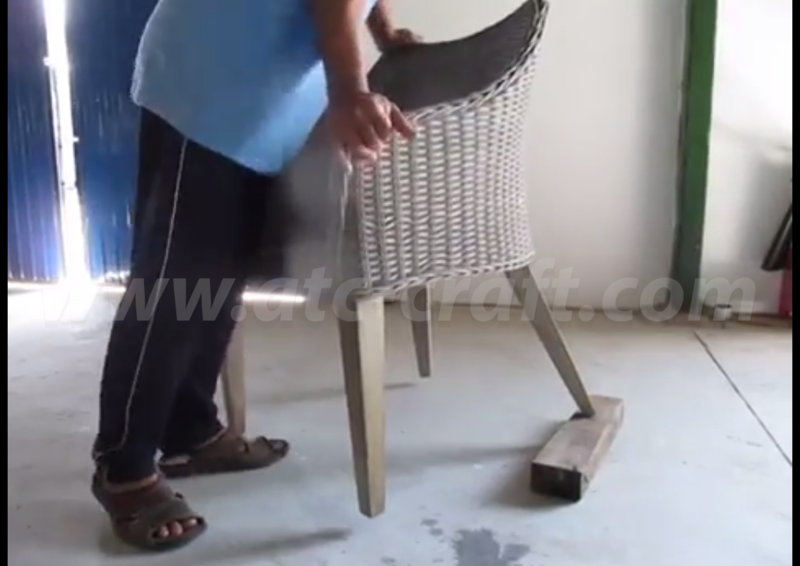 Is the shaky state caused by unbalanced floor or by the chair itself? Is the leg cracked, broken or not? This step is to identify the problem and for you to choose a solution easier. For this article, we will guide you an easy way to fix wobbly chairs that the legs are not broken. To know which leg is causing the problem, you can follow these simple steps. Put the chair standing on flat floor. Then, tilt the chair toward the front to make front legs even. You can see among the back legs, there will be one staying on the ground and one is not. The staying leg is the one you need to take care of. Tilt several times forward and back to make sure you get it right. After understanding the problem, it’s time for us to prepare the supplies needed. Some other wholesale furniture suppliers’ fixing guides require nothing at all. But for us, we want to advise a method that will not damage your house’s floor, your outdoor furniture or yourself. That’s why, for this guide, you will need a spare piece of wood. Once you have identified the unbalanced leg and prepared the needed, now you will do the most important part of this guide – fixing it. 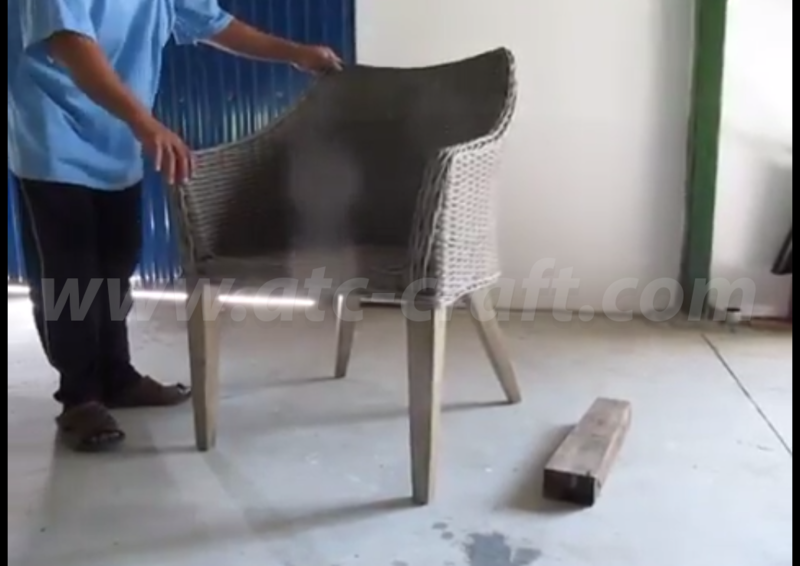 Most wholesale furniture suppliers will instruct you to heavily drop the chair directly to the ground. It’s effective but might be a little dangerous for your feet and damage your floor. 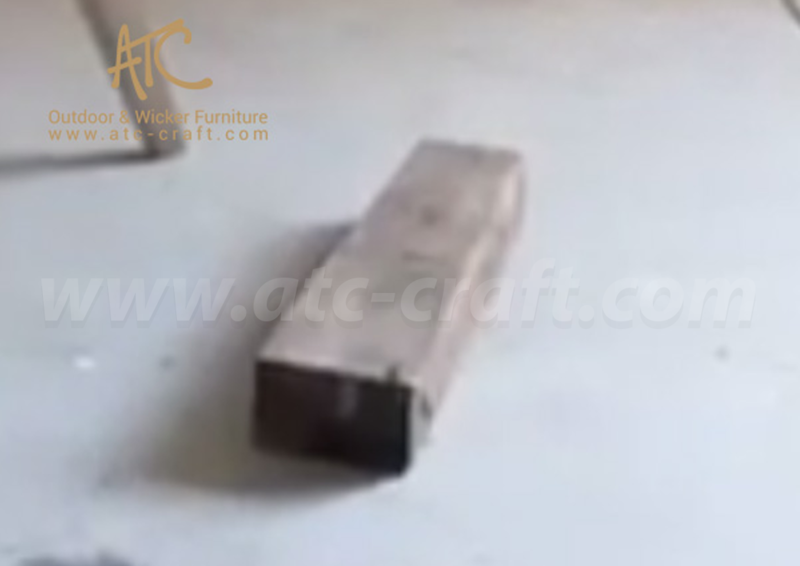 ATC Wicker Outdoor Furniture Factory has a method which takes little effort but it’s safe and efficient. 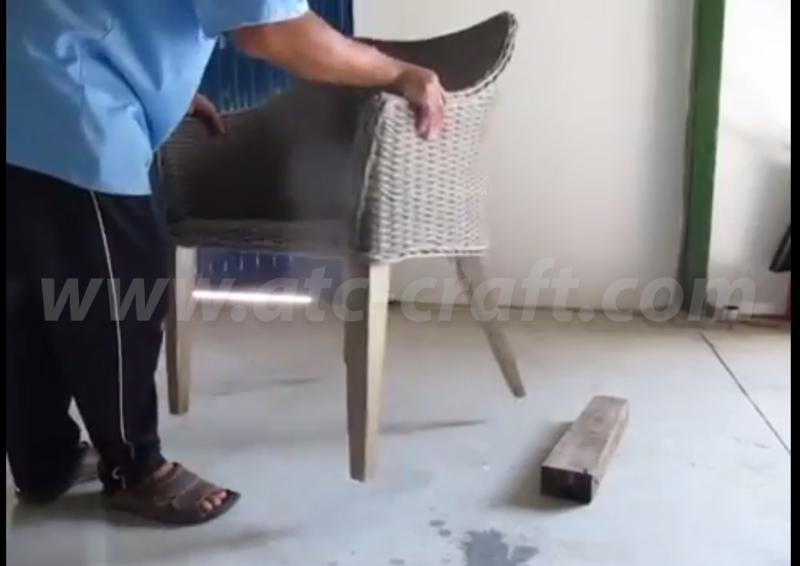 First, lift the chair up and put the problem leg onto the wood piece. Then, use a good amount of pressure to push the leg against the wood. Repeat the step until the chair is completely balanced. And it’s simple as that. After about 5 minutes or so, you can have an even wicker dining chair to enjoy your meals. Can’t imagine how? Don’t worry. We have a short yet clear video for you to follow. 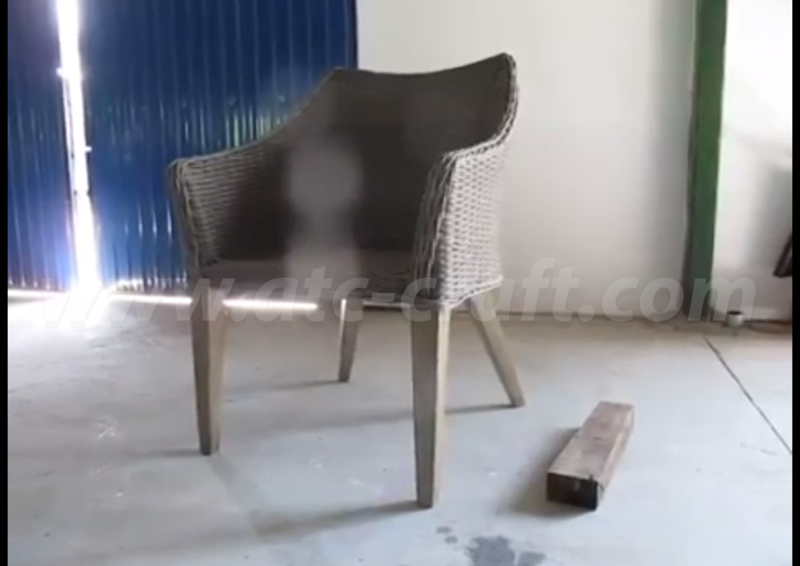 Through this simple guide, ATC Wicker Furniture Factory Vietnam hopes that you can adjust all the “rocking” dining chairs into their normal state, all by yourself.